The HRU Series achieve precise temperature and relative humidity control using its DDC in-built Fuzzy Logic Controller without incorporating any heater element. The DDC Controller changes the variable speed drive of DX compressor in the DX Heat Recovery System and the air flow rate across the DX Coil of AHU to precisely control to achieve the desired temperature and humidity set-point. 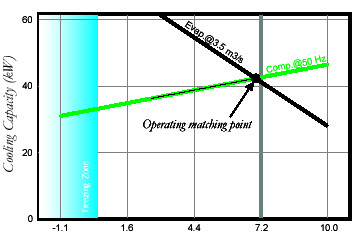 When compressor is running to reduce room temperature (sensible heat) and humidity (latent heat) respectively, it normally runs beyond the room temperature set point to continue the dehumidifying process. 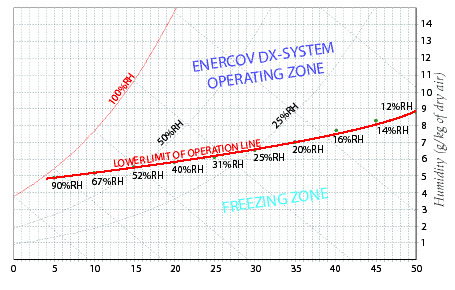 When the right humidity level has been achieved, the system requires reheating to compensate for the overcooling. Usually, electric heaters are used. 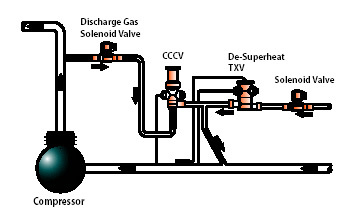 In our DX Heat Recovery System Solutions, we re-use the waste heat energy from the discharged superheat gas. 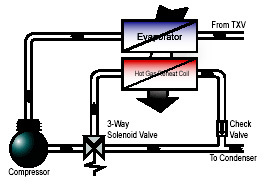 The technology allows us to precisely control the hot gas flows through the reheat coil using a solenoid valve linked to our DDC fuzzy logic controller. This unique implementation allows us to save as much as 30% of energy as compared to heating element based system*. Traditionally, constant room temperature and humidity is maintained by starting and stopping the compressor through a PID controller. 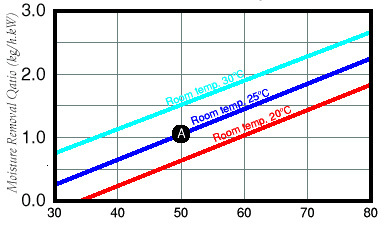 During the “stopping phase”, room humidity fluctuates due to the room latent heat. 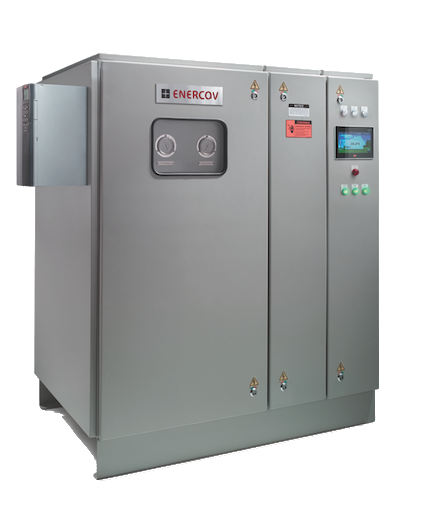 Using Variable Speed Drive (VSD), Enercov’s System Solution implements an Advantage Speed Control for both the compressor and supply air fan (SAF) enabling a large Sensible and Latent Heat control range. The wide operating range for the compressor also drives up the efficiency of the compressor, giving further energy savings. With a variable compressor loading capability and wide sensible and latent heat operation point, the additional energy savings can be as much as 20%*. Enercov HRU Solution can operate in most demanding conditions, such as the semiconductor, precision manufacturing, bio-technology, hospital environments. The theoretical limit of the technology allows the energy saving solution to be deployable in most application without added heat element. 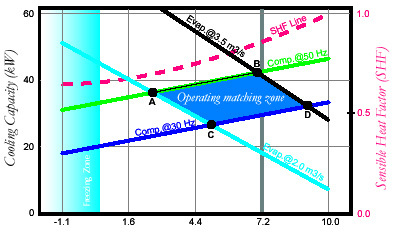 The HRU Solution can also be used to control room pressure for negative /positive applications.